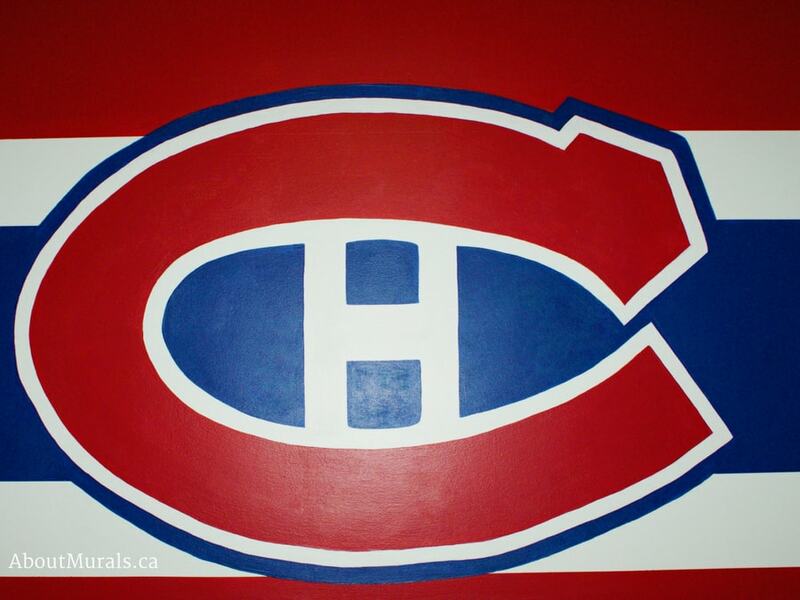 Although this Montreal Canadiens wall was painted in Stoney Creek, Ontario, I also sell cool hockey wallpaper murals that ship for FREE in Canada and the USA. They are super simple to hang and totally removable when you’re ready to redecorate. 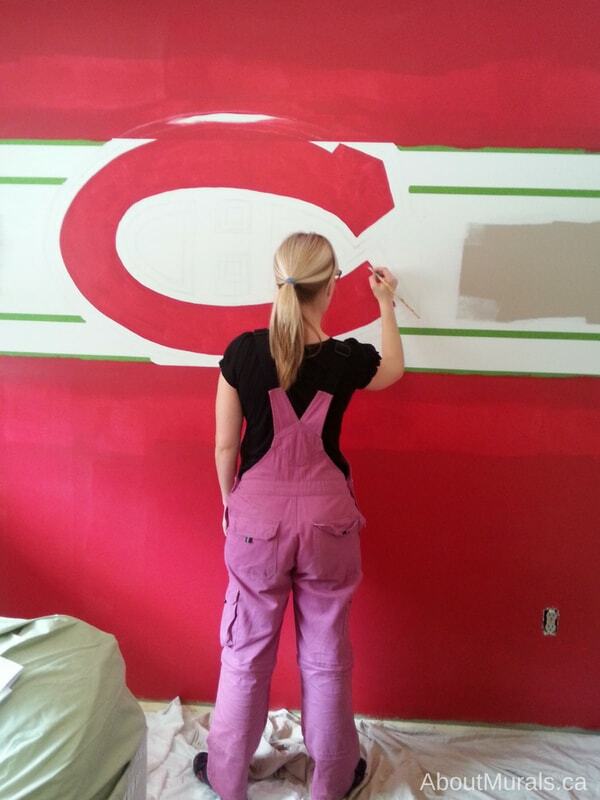 Are you thinking of a Montreal Canadiens mural? Here are some photos of one I painted as inspiration for you. 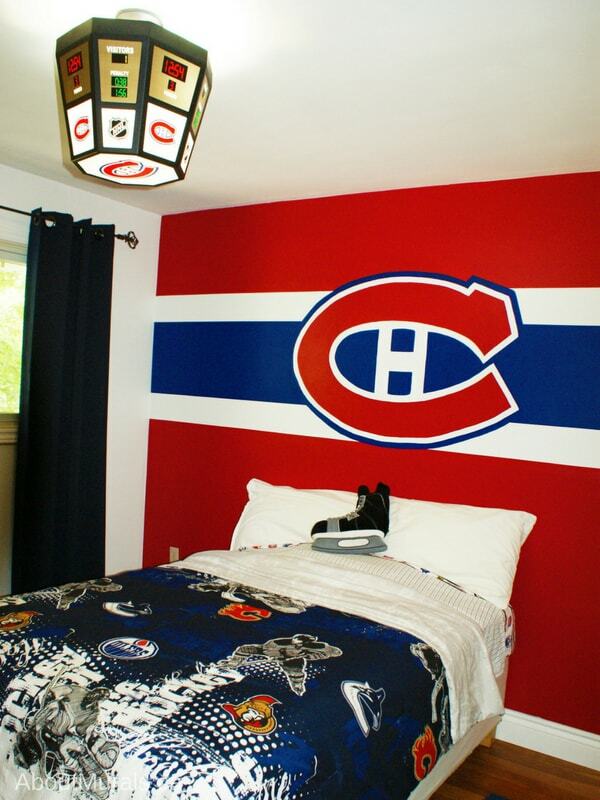 Nolin just moved into his new house, and to make him feel more at home, his parents wanted to create a cool new bedroom for him complete with a hockey mural. 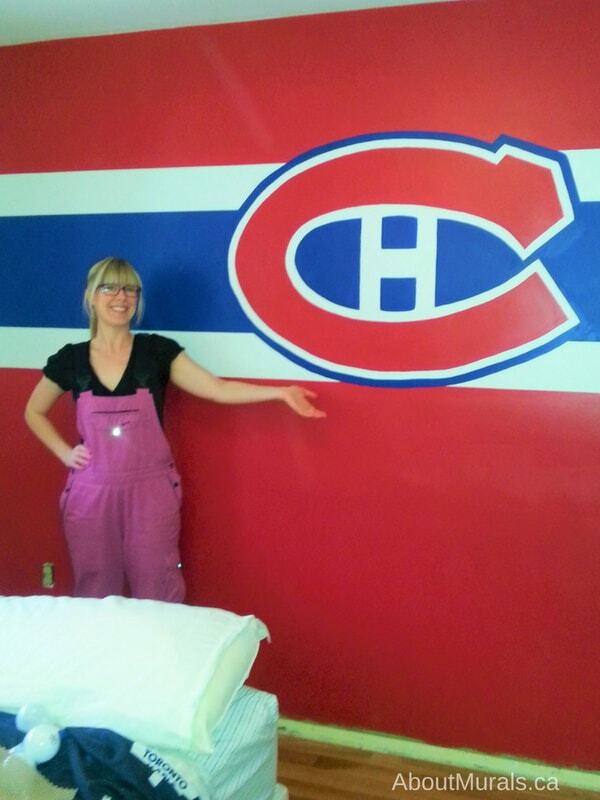 His fave team are the Habs so I painted the home jersey as a feature wall. I always use non-toxic acrylic paint and no-VOC latex paint for my murals so that the room is safe for your kids to play and sleep in – even on the day I finish. My wallpaper murals are all eco-friendly too. Ta-da! 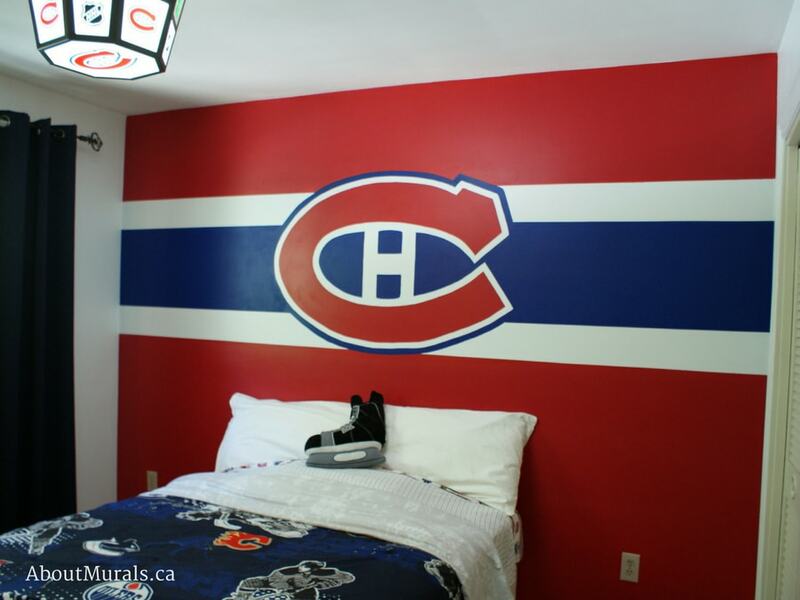 Here’s the finished Montreal Canadiens wall before all the furniture was added back into this boys bedroom. Like My Murals? You Can Hire Me! If you’re thinking of a Montreal Canadiens wall and like my work, you can hire me. I’ve been painting wall murals, between Toronto and Niagara Falls, since 2005. I’ve even painted one for a Mike Holmes TV Show! Or…Browse my Hockey Wallpaper Murals! Love a Hot Coupon Code? Do you love a deal? I’d love to have you in my newsletter community where I share all my promos, coupon codes and inspirational photos of cool murals.